We have a highly experienced landscape design team based in Perth WA with a long and successful track record of client satisfaction. We’re proud to be able to bring you some of the best landscape design services that Perth has to offer. Our experienced team of designers has years of combined experience in a wide range of different styles and design methods. At LandscapesWA we understand just how important high quality customer service is. You’re the one who’s paying our bills, so we will do everything in our power to keep you happy and to achieve your desired outcomes. Every single one of our team members is highly trained in customer service and knows that keeping you – the client – happy is our number one priority. They will happily accommodate any and all reasonable requests, no matter how difficult or unusual. Don’t hesitate to get in touch with our friendly customer service team if you’re looking for a friendly team of landscape designers in Perth or the surrounding suburbs. 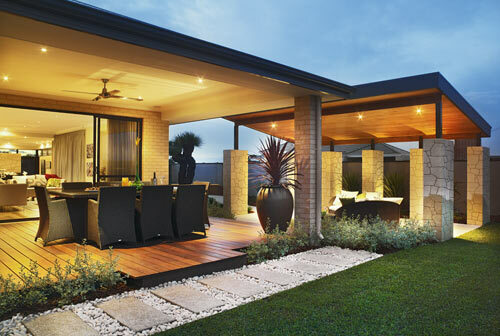 LandscapesWA has a reputation for providing some of the best landscape design Sydney has to offer. This reputation has been built through hard work and jobs well done. We value our name above all else, and we will do everything in our power to make sure you’re happy with our final design. Using only the best landscape design artists Perth has to offer is just one of the ways we’ve been able to leave client after client satisfied with our work. Every designer that works with us is highly skilled, trained in the relevant aspects of landscaping and has a professional track record that speaks for themselves. Experience. In landscaping business, experience is extremely important. It doesn’t matter how much training someone has – without some practical experience they won’t be able to perform as good as many other designers. We always try and use designers who have a strong reputation for versatility, flexibility and high quality work. Customer service. Again, we value client satisfaction and customer service above all else. When interviewing prospective new designers we take note of their communication skills and their ability to interact with other people. Keeping things like this in mind allows us to continue bringing you some of the best landscape design services in Perth. Do you have an idea of how you want your outdoor space to look, but don’t really know how to describe it? Perhaps you want something that’s a little out of the ordinary? If so then don’t worry – we can help! Our team has the ability to design pretty much anything you want. Nothing’s too hard for our experienced team, who will work closely alongside you to make sure that you get exactly what you’re after. All that we will ask is that you give us as much information about what you want as possible – we will do the rest! At LandscapesWA we’d be happy to hear from you if you’d like to hear more about the landscape design services we offer in and around Perth. Our friendly customer service team is available to answer any questions or queries you may have. They have a strong knowledge of everything landscaping, so they will be able to provide you with comprehensive, in-depth answers. Feel free to give us a call or send an email through to our team and we’ll get back to you as soon as possible!